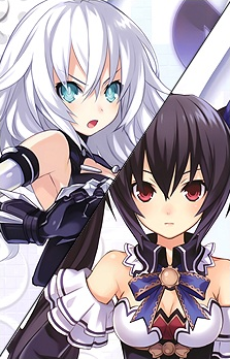 Noire Height: 158 cm Weight: 43 kg Bust: 83 Waist: 56 Hip: 82 Black Heart Height: 160 cm Weight: 45 kg Bust: 83 Waist: 57 Hip: 81 (83 in mk2) The goddess who represents Lastation, which comes from the Playstation 3, and is a very individual character. She seems to like to perform on her own, and does things on her own time, but she is quite forgiving and fair. She also seems to have a strained relationship with Neptune, but still operates as an individual. During the story, Neptune finds out that she is giving up her position as goddess. She and Neptune are also rivals, as are Nepgear and UNI in the sequel.